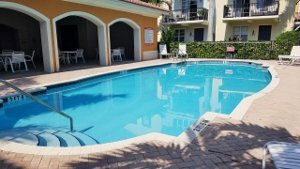 Attention Abacoa Townhome Buyers and Homes For Sale Jupiter FL searching buyers will love this community which was developed as part of South Florida’s “work, live, and play in one place” motto, many of the Greenwich homes fulfill all these needs. Greenwich location just off the center of downtown Abacoa and mixed-use zoning development means that some residents can easily work from home and be very close to the heart of the many recreational activities. Greenwich homes for sale are part of a three-story townhome community with some lakefront homes with beautiful views. 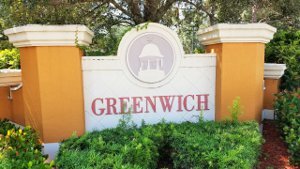 Greenwich real estate is made up of 98 residential and live/work townhomes. Each floor plan has 2 or 3 bedrooms, ranging from 1,600 to just under 1,800 square feet of living space. There are several layouts to choose from to suit your lifestyle. Some buildings have offices on the first floor, providing the perfect space to meet with clients and eliminating the need for a lengthy work commute. Greenwich homes have upscale amenities such as granite counters, walk-in closets, covered balcony, and hurricane impact windows and doors. Greenwich residents are close to the dozens of recreational activities that Jupiter offers. The community of Greenwich has a clubhouse, heated swimming pool, for residents of all ages to have fun just outside their front door. Wide sidewalks and street lighting offer residents safe walking areas with nicely spaced trees for shade. Step out into the public accessible preserve walking trails which are spread out through many of the Abacoa communities providing the public outdoor recreation, exercise, entertainment and education opportunities. With many shops and restaurants nearby you can easily find what you need just moments from your front door. HOA FEE covers the following: BUILDING INSURANCE (NOT INTERIOR), ROOF REPAIR AND MAINTENANCE, EXTERIOR PAINTING, COMMON AREAS, ABACOA POA, TREE TRIMMING, LANDSCAPE, MAINTENANCE LANDSCAPE REPLACEMENT, LAWN & PLANT PEST CONTROL, MULCH ANNUAL TERMITE TREATMENT, FOUNTAIN MAINTENANCE, JANITORIAL, IRRIGATION, MAINTENANCE & REPAIR, HURRICANE EXPENSE, POOL MAINTENANCE & REPAIRS, FIRE ALARMS/PANEL SYSTEMS. The famous Jupiter Lighthouse and Jupiter Inlet are a mere 10 minutes away. The spectacular views at the beaches are only a 5-minute eastern drive. Spend the day enjoying the Florida sunshine, whether that’s on the sand, a boat, or a surfboard. Sports fans will enjoy attending spring training baseball at Roger Dean Stadium. For those who want to practice their skills on the green, there are several excellent golf courses in the area. Residents of Greenwich homes have access to prime shopping and dining opportunities. 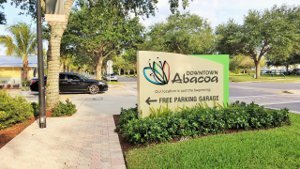 Within walking distance is downtown Abacoa, which boasts a vast array of shops, service centers, restaurants, and a vibrant nightlife scene. Whether you are looking for a specialty boutique with the latest fashions, a yoga studio, or fresh baked goods, you can find it in downtown Abacoa. For shopping fanatics, check out the famous Gardens Mall in Palm Beach Gardens, which has more than 160 upscale retailers and restaurants. Dining options near Greenwich homes for sale include restaurants that serve menus from around the world, as well as close-to-home American favorites. Try Italian specialties, Japanese sushi, Cuban sandwiches, diner classics, and more. Don’t forget about the abundance of fresh Jupiter seafood. Find out more Jupiter Area Information Here. Traveling in and out of Greenwich is simplified by the community’s convenient location just north of Donald Ross Road. Flights for business or pleasure are easy to arrange from Palm Beach International Airport, only 15 minutes south. Residents of Greenwich are served by the School District of Palm Beach County, which has highly ranked programs like Jupiter Community High School. For alternative education, there are also private schools nearby. Higher education is provided by Florida Atlantic University.